Stallion 7.1 is another big feature update, full child theme support (will be releasing an example child theme soon) is the most important new feature. There’s many other new features including the ability to set a layout, colour scheme, header image sets and if ads should be shown on every post and page (simple case of editing a post or page and select a layout etc… for that page/post). Right single 310px sidebar, Stallion Delicate Colour Scheme, a custom header image, 2001 headers disabled and no ads are enabled (AdSense, Chitika and Clickbank is off). On the page you are on now I have Right single 410px sidebar, Stallion Black Colour Scheme, the Orange Flower header image since 2001 header images and ads are disabled on this site the other two options have no impact. Look around the site and when I’ve had the time to edit more posts many more will use different layouts, colours, images etc… pretty cool feature. Stallion 7.1 update is live and should be available to update under your WordPress Dashboards. Will be writing a post about this on the mailing list tomorrow. Also uploaded a free example Stallion Child Theme, the example child theme adds no new colours etc… just a framework for developers and those who customize their installs with custom images etc… I’ll be installing a child theme on all my WordPress sites so the Timthumb.php cache folder is located within the child theme folder not /stallion-seo-theme/, by doing this I won’t have to set the write permission via FTP every time I run the theme updater (on many sites have to login using FTP after the update and change permissions AGAIN). Stallion 7.1 is running on this site now, already started to use the new override layout, colour scheme settings which is why this post has the 410px right sidebar layout and the Stallion Black colour scheme and the Orange Flower header image. 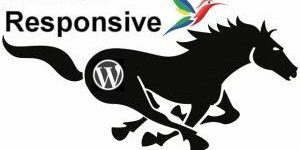 Hi Dave I am trying to install Stallion 7.1.1 on a new site with the latest WordPress, but without any success. I keeping getting this WordPress error message…. Looks like it was a max upload file size issue (many hosts have max upload size at around 2MB, Stallion needs around 10MB) which would normally give a different error. Might be another cause for you, for a quick fix try installing using FTP. I purchased this theme about three years ago and didn’t use it for a while. Now my purchse ID and email won’t activate the theme! Even though when I request a reminder the purchase ID is sent to the correct email address. Only thing that comes to mind is if you are copying and pasting your Stallion Transaction ID you’ve copy and pasted a space before/after the ID and that will break the activation. Make sure there’s no spaces before/after what you are copying and pasting or type the ID manually. If it’s not that drop me an email with your order email address and I’ll check, though if you are getting the automated reminder emails with the Stallion ID it’s got to be active otherwise the email wouldn’t be sent. I read the posts related to theme font size and style, I understand the requirement of current font style and size for readers point of view. but still I want to go for change of font style and size, please suggest me steps to do it. Edit the colour scheme css file you are using for the Stallion colour scheme and change the font-size code. Look for font-size to edit, there’s around 20 font-size entries to edit, each one changes the font size of a different part of the content. Those CSS files aren’t available under the WordPress Theme Editor, a WordPress feature fail IMHO, so you have to edit them offline in a txt editor and upload using FTP (Filezilla for example). Generally advisable when editing WordPress template files and CSS files to do the editing offline anyway, if you make a mistake you have the option to revert to your last edit and restore what ever you Broke. With the WordPress theme editor make a mistake and you are screwed, locked out of your WordPress Dashboard with the white screen of death :-( To recover requires uploading the original files via FTP or deleting the entire theme files (FTP) and starting again. I’d NEVER edit theme files using the built in WordPress theme editor for an important website, way too easy to mess up. I am very new to the blogging world, can you please send me mail or explain me detailed steps for editing css for main content of posts and pages font size. There’s plenty of free resources and CSS tutorials online teaching basic CSS. Load the css file in a text editor, search for font-size, change the number to the right to slightly bigger/smaller. Upload the CSS file using FTP to your server and see if you are happy with the new size. Repeat with all font-size numbers until you are happy. What is the latest Stallion SEO theme version? Any options here? How can we make this responsive? I’m working on a version of Stallion that’s mobile responsive, called Stallion Responsive. You can see a live demo at seo-consultant-services.co.uk check it out in various browser sizes. Stallion Responsive is a rewrite of the Stallion SEO theme code, made a LOT of changes to add responsiveness that’s not easy to achieve with the Stallion SEO Theme 7.1.1 code. Working on the last feature (ability to easily create new colour schemes: your earlier CSS questions are covered on an options page, all colours (130 of them) can be changed) before release, with a little luck it will be before Christmas. Stallion Responsive includes a Demo version that has all features enabled so it can be installed alongside the Stallion SEO Theme to see if it’s worth switching themes. There are too many changes between Stallion SEO Theme and Stallion Responsive to do a straight upgrade, though it will use Stallion featured image data and the SEO data added via the Post and Page edit screen and SEO data from from the All In One SEO Pack plugin and the Yoast WordPress SEO Plugins. re: seo-consultant-services.co.uk pretty cool. Looks like there is still an issue with the banner image at the bottom though not being responsive. The banner image resizes based on screen size already? That site doesn’t show all features (can’t turn them all on) all images resize based on screen size, the featured slideshow, the photonav menu, the large and small banner images. If you are checking in a browser (resizing to various widths) for some stuff to resize refresh the page after resizing. I also use ‘static responsive’ CSS code rather than fluid (fluid not possible with the SEO layout Stallion uses) which means it’s responsive at specific screen widths (the 12 most used device widths: vast majority of devices). Are already part of the Stallion SEO Theme as sitewide settings (see the Layout Options) other than the category, though you can hide the entire date area on posts which hides the category links. nice idea to add the author name without a link option. The vast majority of options in the Stallion SEO Theme are also in Stallion Responsive, removed a few options that aren’t needed in the new code, but no big features removed. would be nice to have those optipns on the post/page versus only sitewide. shape5 themes have this and it is a nice feature. you can download the free vertex to check it out.